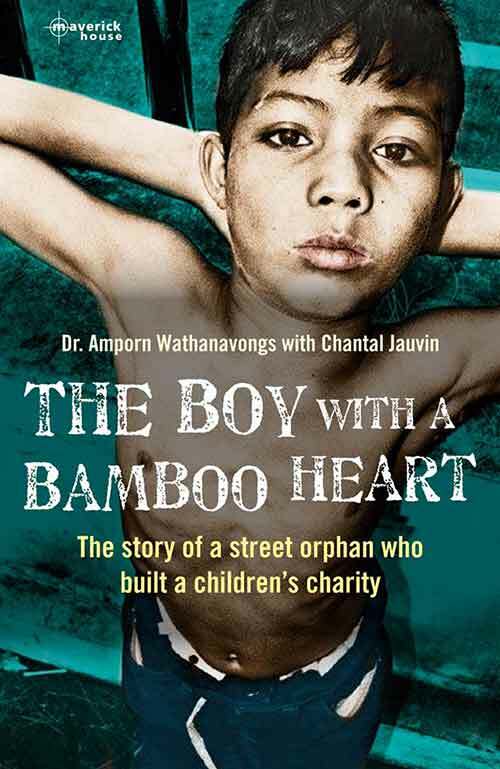 All the votes are now counted, and the winner of the Asian Books Blog Book of the Lunar Year in the Year of the Ram / Goat, now drawing to a close, is The Boy with a Bamboo Heart, by Dr. Amporn Wathanavongs with Chantal Jauvin, published by Maverick House (Ireland). Click here to see the blog’s coverage of the book, last October. For details of the poll, and the shortlist, see here. The Boy with a Bamboo Heart led the poll by a big margin for at least the last couple of weeks, although Tales of Two Cities put up a strong showing over the past few days. A House Called Askival also quickened the pace at which it was picking up votes towards the close of the poll. Earlier in the poll Back Kicks and Broken Promises, Tiger Tail Soup, and The Burma Spring were all at various times in the lead. The Boy with a Bamboo Heart picked up many, many votes from Thailand, as well as votes from North America, South America, and a number of European countries: France; Spain; Italy; Holland; the UK. Congratulations to Dr. Amporn Wathanavongs, and to Chantal Jauvin. Commiserations to all the other authors whose fantastic books made the shortlist. As their “prize” Chantal Jauvin and Dr. Amporn Wathanavongs will be invited to write a guest post highlighting the work of any secular organisation promoting literacy within Asia. Watch this space!! Gong xi fai cai! Kung hei fat choy! Happy reading in the Year of the Monkey!